Books that take you out of a reading slump are hard to come by. If those kind of books are funny, then all I can say is that go for them because funny books are hard to come by, well at least for me, who is not taken in by them till I finished reading, “Mrs Funnybones” and my jaw was actually hurting from laughing out loud. I honestly though didn’t have any expectations from this book. I mean I had heard of Twinkle Khanna’s column in DNA and TOI but did not expect anything from the book. I had not read any of her columns. However, I can safely say that all of you and I mean every single one of you must read “Mrs Funnybones”. It is hilarious and I cannot stop recommending it enough. “Mrs Funnybones” is about a regular woman’s (not quite so given her celebrity status) often irregular and chaotic life with her celebrity husband, kids, mother-in-law, dog, domestic help, a vivacious mother, and many more characters that keep popping in and out of chapters. I could not stop turning the pages. I could also not stop giggling like a school girl. There is also a lot of profundity in the book without it being too preachy and that is what I loved second best after the humour. 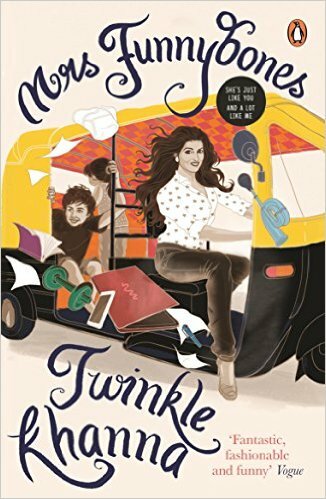 Twinkle Khanna writes with a lot of ease and it’s almost effortless. The writing just flows and humour is sometimes obvious and sometimes not, which is what I call, balanced. Whether she is talking about her man Jeeves (whom she calls desi Jeeves and that somehow cracked me up) to the time she was on a flight to Delhi and had to deal with a mother and her baby who decided that it was potty time on flight and what followed later was just laugh-out-loud and disgusting at the same time, she conjures life as is, without any frills and pretensions. We need more honest writing like this I guess. My favourite parts were the ones that involved her Mom – how she was made fun of as a child and also of how she keeps getting these emails from her with her baby and teenage picture attachments. It was a laugh riot and at times I could not help but think of what she says about growing up, life, and everything in between. “Mrs Funnybones” is the kind of book which will appeal to everyone. There is something which everyone can relate to – if not house issues, then about the state of the country, issues which she deals with great subtlety and wit. Like I said, I cannot stop recommending this book to everyone. It sort of reminded me of Moni Mohsin’s Diary of a Social Butterfly. I will get back to it in bits and parts when I am feeling down and about, so I can laugh and forget what is going on around me, at least temporarily. This entry was posted in Books, Non-Fiction, Penguin Books, penguin india, Review and tagged Business, family, life, motherhood, Mrs Funnybones, Non-fiction, penguin books, Twinkle Khanna on August 13, 2015 by thehungryreader. I had heard a lot about this book on various online forums and sites. I was quite excited as well to read it. I finally read and finished it today. The book is very well-written, that’s for sure, and it’s just that I was a bit disappointed by the twist in the tale. 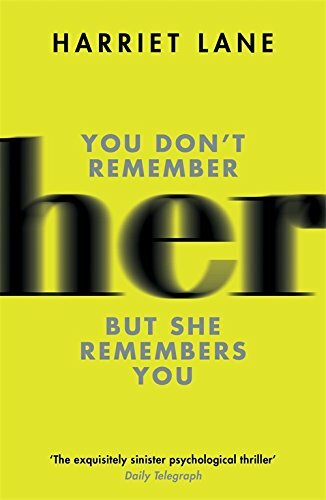 Having said that, I give it four stars only because of the writing and the atmosphere Harriet Lane has managed to conjure in her book “Her”. “Her” is a story of two women – Nina and Emma. Both are almost of the same age and living in London. They come from two different worlds and lead two very different lives. While Nina is a successful artist, Emma is a housewife who feels mostly stifled being at home and taking care of her children. And yet when they meet, there is something that draws them to each other, something almost unexplainable. Till the reader understands that Nina is up to something while meeting Emma (well sort of understand, rather, the reader can only guess). Why is Nina interested in Emma? Why does she have this obsession which is so subtle and yet there? The book is chilling. It is also quite an intriguing read. Lane’s writing is sharp and has a lot of detailing that only helps build the suspense. I loved how Emma’s housewife ennui is explained throughout and how Nina’s perspectives are portrayed. Both women’s stories unravel through their views of similar situations, told in alternating chapters. My only grouse was the build-up to the end in the penultimate chapter. I just had a problem with that part. The ending however is so brilliant that it will leave you with your jaw dropping. This thriller is interwoven with the past and the present and explores human psychology with great casualty. It is quite shocking to see Nina’s character build and do the things that she does with such calm. You must read this book for the plot, for the characterization, for the way the women are depicted, for the details and above all for a good chill running through your spine. This entry was posted in Books, Hachette Book Group, Review, Thriller, W&N and tagged emma, Friends, hachette, Harriet Lane, Her, london, Nina, Psychological Thriller, thriller, W & N on August 11, 2015 by thehungryreader. Amphigorey Too is a wonderfully strange book. It is a collection of 20 tales which have been previously published and this book is an anthology. 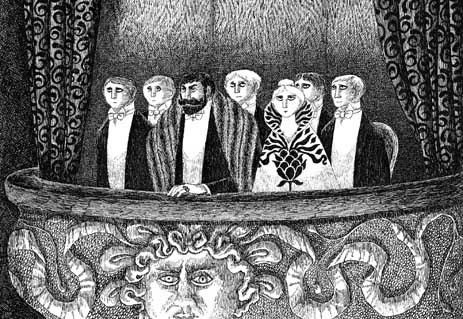 In fact Edward Gorey’s stories are so short and so many of them that there are four omnibuses to encapsulate all of them. These 20 tales are dark and completely out of the ordinary. They will take you by surprise and while they seem to be meant for children, they most certainly are not. Gorey’s style is always dark and witty. I guess having a signature way of writing always helps an author in the sense that readers can then associate easily and know what they are in for after reading the first couple of stories or books. 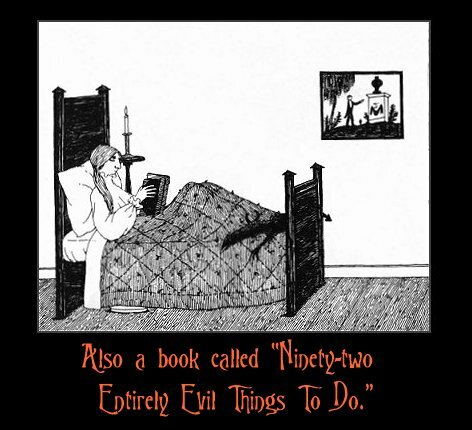 I had not heard of Edward Gorey, till my friend at Book Sense spoke highly of him and I knew I had to read him. My favourite tale in the book is “The Gilded Bat” which is about a prima ballerina and her life between performance, rehearsal and boredom. There are children in these tales who die at the drop of a hat and before you know it even adults are killed and meet their end quite grotesquely sometimes. But you must also read “Amphigorey Too” for the illustrations. They are brilliantly done and in tune with the wry humour. The stories are sarcastic, dead pan, whimsical, bold, gory and above all also quite emotional if read deeper. Some of it is nonsense. Some of it is not. All I can say is that this is a read for a perfect rainy Sunday. 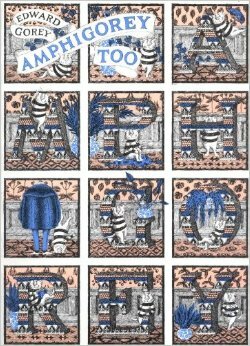 This entry was posted in Authors I Love, Books, Graphic Novel, humour, Literary Fiction, Review and tagged Amphigorey Too, Dark, Deadpan, Edward Gorey, Graphic Novels, humour, literary, Perigee Books, tales, Wry Humour on August 9, 2015 by thehungryreader. 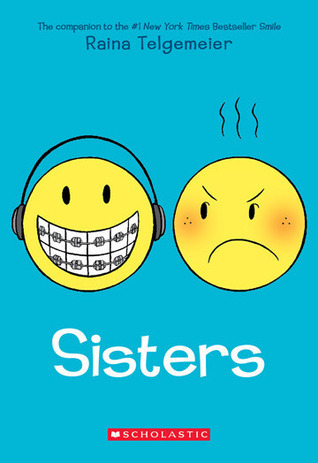 “Sisters” is a true story of Raina and her sister. It is a graphic form of the true story of Raina and her sister. 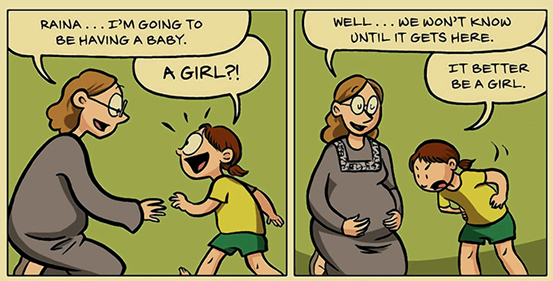 It also is the companion to the graphic memoir Smile, which I still have to read. Sisters reminded me of the relationship I share with my sister, but we will not go there. 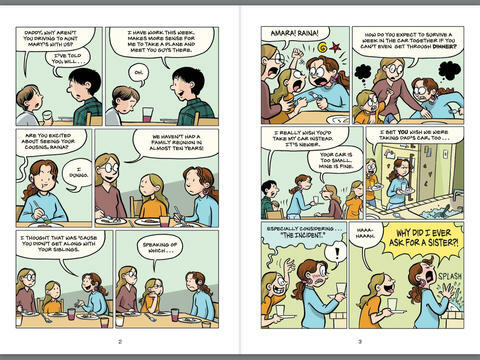 I will talk about this graphic memoir which is all about siblings – rivalry and love. Raina had always wanted a sister and she got one as well and that is when things started to go haywire. Amara is born and she is cute but she is also very cranky and prefers to play by herself. Their relationship doesn’t hold on too well over the years, but once a baby brother enters the picture they know they have to stick it out together, as they are sisters for a reason. 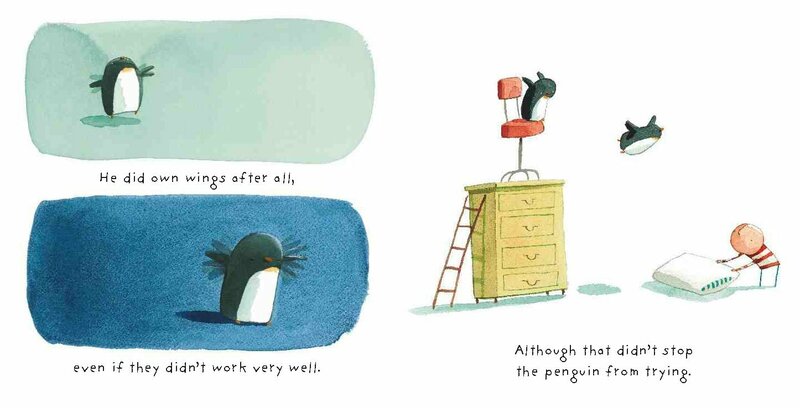 I loved the simplicity of this book. 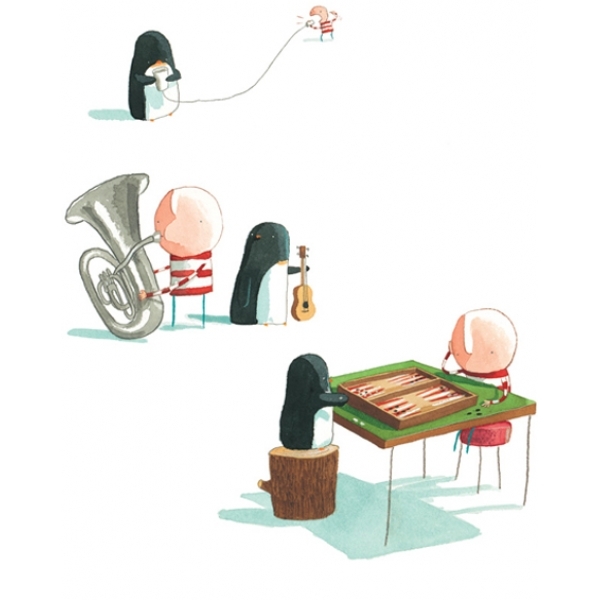 It is the kind of book which every person who has a sibling will relate to. It is a fast read for sure given it is in graphic form, but it is also the kind of book that will make you want to reach out a lot more to your siblings. 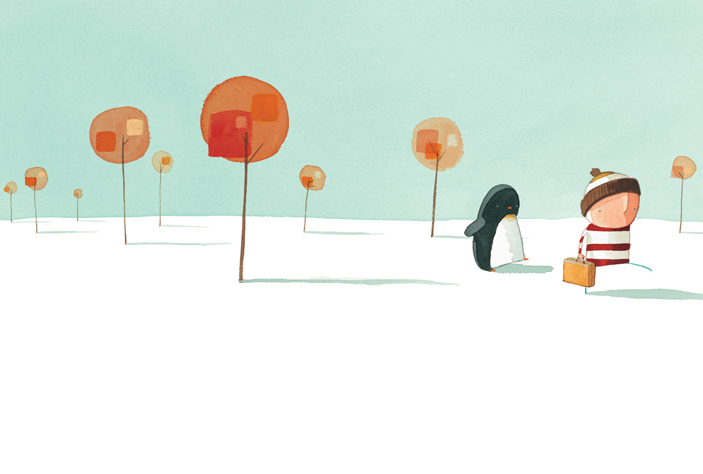 “Sisters” is the perfect book to be given to a child who is just going through the phase of accepting a sibling and understanding what it means to be one to another. 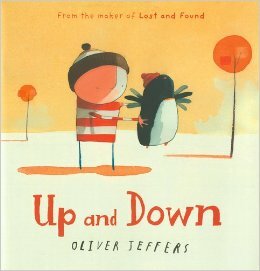 The illustrations are sweet and overwhelming and go perfectly with the story. A book to not miss out on for sure. 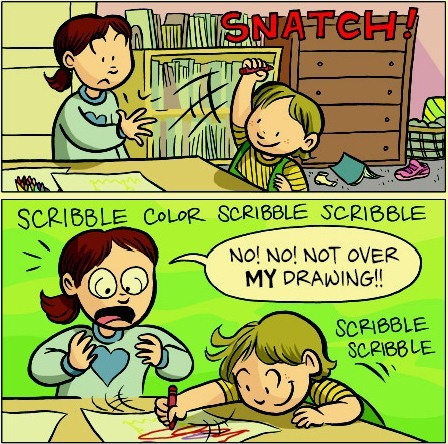 This entry was posted in Books, Children's Books, Comics, Review, Scholastic Books and tagged Graphic Memoir, graphic novel, Love, Raina Telgemeier, Scholastic, Scholastic UK, Sibling Rivalry, Siblings, Sisters on August 9, 2015 by thehungryreader.